In this paper Colin Roth examines the documentary record for insights into the composer’s developing enthusiasm for fine art in his early years, and considers their implications for our understanding of his music-compositional process and creative path. He looks back to the emergence of a strong and persistent interaction with French cultural values and aesthetics in ‘the Golden Age’ and traces the path of its Platonic neo-classicism as a distinctively Danish contribution to ‘romanticism’s double helix’, from Eckersberg and Thorvaldsen through Kierkegaard and then to Georg Brandes and Carl Nielsen, revealing a source in Kierkegaard’s Either/Or of Nielsen’s best known remarks about his own music. It is Nielsen’s perception that ‘all art is in its essence the opposite of sensuality and as soon as this [sensuality] comes in, is it no longer high and clean art’, written about Rubens in 1894, which helps to illuminate the choice of a Latin text in Hymnus Amoris . 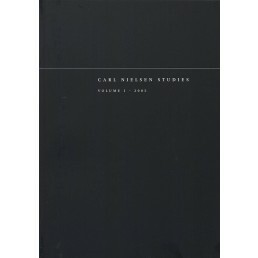 In asking what we can we learn about Nielsen’s way of learning from studying his self-education in art, and about what he learned as a young man and from whom, our knowledge of the development of Nielsen’s musical aesthetics and outlook is enriched.